There’s no denying we live in an online generation. Whether it’s casual communications or business transactions, we’re all connected most of the time. Businesses put a lot into their marketing efforts, and unsurprisingly, these efforts are largely based on online options. It is easy to see why this is the case. Online efforts are capable of reaching a large audience. They’re also very flexible in their application. But, most importantly, they can be measured. Marketing efforts are expected to generate a certain amount of return, so measuring their usefulness is a critical part of the process. But what about offline marketing efforts? It turns out they’re not exactly extinct, despite being challenged substantially by their connected counterparts. We know they work, but how can they be measured? It’s not like companies can see how many drivers or pedestrians laid eyes on a billboard the same way they can track how many users clicked on a website ad. 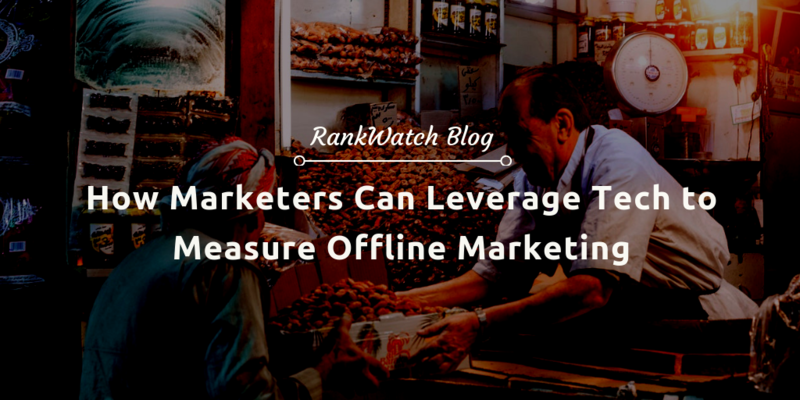 But this doesn’t mean it is impossible – here are some ways traditional offline marketing efforts can be tracked and monitored. Companies want users to visit their websites – but they have to use increasingly inventive ways to get them there. With so many other companies vying for the attention of consumers via web marketing campaigns, it is essential to know how to promote effectively. But even if a customer does land on a website, how can a company tell from where they came? Did they see the link on a business card? A commercial? A billboard? How can businesses track the source of traffic from these offline advertising options? The secret lies in using tracking links. Tracking links are standard links with a simple code added to the end. They take users to the same site as they would without the code, but the added bit of information is useful to the marketers. It can tell them from where the user was directed. Let’s say the ABC company wants users to visit their service page. They may create two links – one advertised on a billboard (ABCCompany.com/services/bb) and one advertised via a TV commercial (ABCCompany.com/services/tv). While these links will both lead to the same place, they can provide data to companies about how their offline marketing efforts are working. Of course, custom pages can also be created to send users to different locations. This could be used to show them a specific line of products businesses may be trying to get more eyes on, rather than sending them to the full product catalog to sort through. Tracking incoming email communications back to a specific offline marketing campaign can be incredibly difficult. If your customer service team received an email that just said, “I’m interested in your service,” how would you know how they found you? This can seem like a puzzling and frustrating problem for marketers. The frustration comes in because email is such a favorite tool for reaching out and opening lines of communications. How can companies tell from where their email contacts are coming? The secret lies in using custom subject lines. Or, more specifically, it lies in getting customers to enter a specific subject line for the email before they send it. This can be promoted via the call-to-action on other marketing tools like blogs, brochures, and text messages. When users reach out with the proposed subject line, it can be a direct indicator of from where the traffic came. So, an electrician company might say, “email us today with ‘My house is dark!’ in the subject line.” You can combine this with a promo code to help make sure they use the subject line when contacting the business. Make sure you create an ongoing campaign in a CRM software, like Insightly, that’s specific to each email promo code so you can track which offline marketing channels are driving the most business. What better way to track offline marketing than doing so by promoting a sale? It helps the customers save, so everyone wins. Many different businesses use the discount code strategy. How many times have you seen the old “text promo code SAVINGS123” to a given address? Tools like Voucherify.io integrate with eCommerce and landing page platforms to drive new customer acquisition using promo codes. Campaigns can be set up across different offline marketing channels to test from where the best acquisition rate is coming. Not only does this incentivize a person to reach out so they can save money, but it allows a company to track how effective an offline marketing campaign is. You can place the discount codes on billboards, transit ads, TV commercials, and in many other locations. 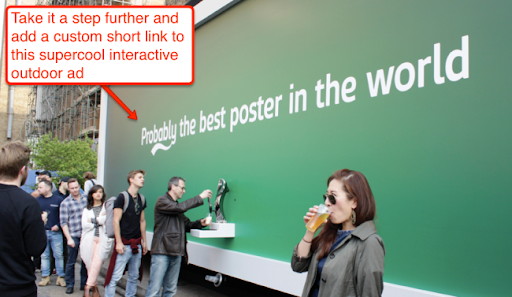 In doing so, companies can gauge where their most effective advertising spots are. Since customers (especially those already close to a sale) will likely rarely turn down the chance to get a discount, they’re a perfect tracking tool. While phone conversations are technically under the networking umbrella, they still fall into the sphere of offline marketing so long as they’re traditional phone calls. Many businesses invest a lot of time and money into cold calling or following up on leads by reaching out to customers telephonically. There are traditionally a couple of ways to track phone marketing success – one is by number, and the other is by close rate. Going by number is relatively easy. This simply involves tracking the number of customers contacted at unique numbers. It shows how far a company is reaching out, and how many different potentials leads they’re communicating within any given period. Tracking numbers can show how many leads are approached, but how about knowing how many of those leads have actually converted into customers? This is where tracking the close rate comes in. 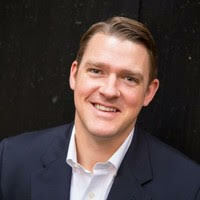 Think about more traditional businesses like plumbing or towing company. They regularly advertise in their local areas through direct mail, TV, billboard, and radio to reach potential customers. Instead of gauging the success of a campaign by whether you received more phone call in any given month, these businesses can leverage technology to more granularly understand what’s working and to what extent. For example, service business specific software company ServiceTitan ties each unique phone number to an online and offline marketing campaign. These unique numbers are then used to track revenue generated from each campaign to increase spending for what’s working and kill what’s not. If online marketing efforts are so effective, why does it matter how companies track their offline efforts? The key lies in realizing that just because online marketing is growing in popularity doesn’t mean offline marketing is obsolete. Utilizing both together is a great way to get the most out of marketing efforts, which is why tracking is so important. Marketers don’t just create and deploy ads – their job is to understand how effective they are, and the ways they could be more effective. Understanding these handy tracking techniques can help any marketer maximize their offline potential.